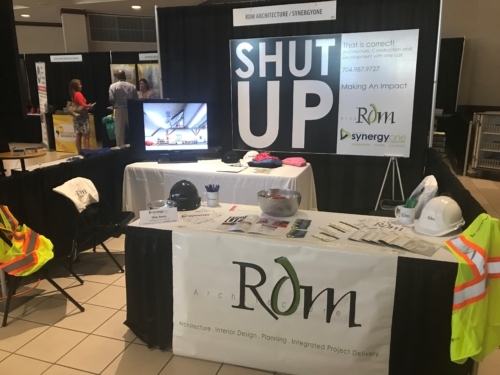 North Carolina Association For Public Charter Schools 2017 Conference, in it’s inaugural debut at the association’s annual conference, RdM Architecture presented its firm and services with a vendor exhibit booth, a presentation to its attendees and featured the introduction of the closing speaker. 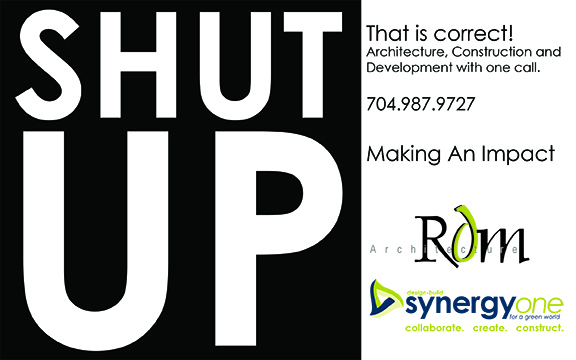 The booth featured a continuous loop video of its educational projects along with its themed backdrop, “Shut Up!”, touting its single-sourced design, construction and development services all in-house. Jill and Heather organized the booth set up, handouts and shirt giveaways. They graciously introduced the firm to those who stopped by and interacted with the other many vendors participating broadening the firm’s network. Rick and Barrow attended the full conference of learning sessions and networking social events in the evenings. 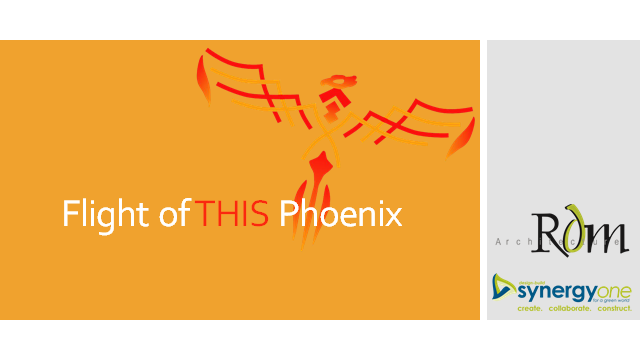 Our experience at the conference was highlighted by our presentation entitled, “Rising Of This Phoenix, A Journey of Success with Phoenix Montessori Academy.” Mimicking the movie of almost the same title, the firm presented its story of the schools rises from losing its lease, almost closing through to its current condition of being at capacity with a waiting list a bit after a year in its new location. Orchestrated by RdM Architecture, the firm provided planning, design, development and construction services in locating a property, obtaining a Conditional Use Permit, engaging investors, and opening the renovated office building into the school all in about a year and a half. Head of School India Adams, along with RdM’s Director Of Planning and Design, Nicolas Bracco joined Rick and Barrow in its presentation.